The American Prize is honored to announce the winner and runners-up in the college/university division of The American Prize in Choral Performance, 2014. Congratulations! The University of North Dakota Concert Choir is a nationally recognized choral ensemble consisting of the most talented vocalists at the University of North Dakota. Founded by Dr. James Fudge, the Concert Choir has been representing UND throughout the United States and around the world since 1961. In 2012, the UND Concert Choir was selected to perform at the North Dakota and North Central American Choral Directors Association conferences, receiving standing ovations at both. In 2014, the Concert Choir will travel to Cuba where they will perform with the National Choir of Cuba and Coro Exaudi. The UND Concert Choir is directed by Dr. Joshua Bronfman. Among judges' comments: "The Concert Choir’s consistency and ability to so perfectly maneuver a series of complex cluster-chords with such grace and poise is a testament to their musicianship." 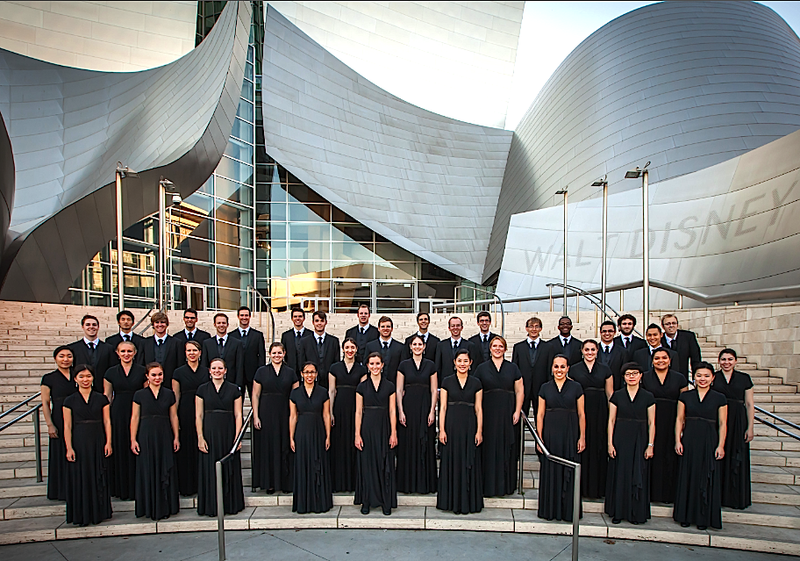 The USC Thornton Chamber Singers are one of twenty-four choirs invited to the 2014 World Symposium on Choral Music in Seoul, Korea. They will also represent the American continent at the 12th Annual International China Choral Festival in Beijing. This year, they performed at the Western Division Convention of ACDA in Santa Barbara, California and sang with Sir Elton John at the 2013 Emmy Awards. Previously, Chamber Singers has sung with Barry Manilow, The Rolling Stones, and Andrea Bocelli. They performed Mozart’s Requiem with Helmuth Rilling and the LA Chamber Orchestra. Recent performance highlights include: choir-in-residence for the New Zealand Choral Federation Conference “ChoralConnect” in Wellington; the West Coast premiere of Heinz Werner Henze’s Muses of Sicily with Robert Reynolds; Bach’s Mass in B Minor with Maestro Rilling; USC Visions and Voices with Dale Warland; The Tonight Show with Jay Leno; and with Jennifer Hudson at a Shoah Foundation Gala. Among judges' comments: "The warmth and consistent balance throughout the selections invited the listener to immerse in each song, as the musical elements were so refined." 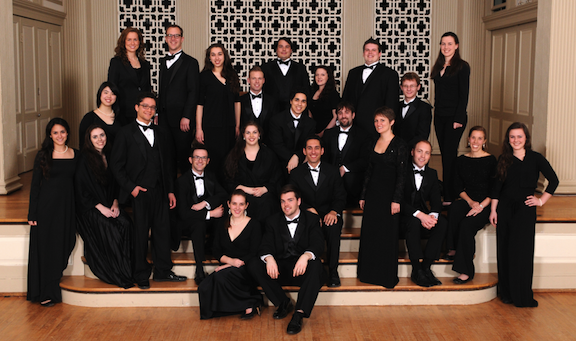 Founded in 2004, Westminster Kantorei is an auditioned chamber choir from Westminster Choir College specializing in early music. The ensemble, which is composed of approximately 24 undergraduate and graduate students, performs regularly with some of America’s leading specialists in early music including collaborations with violinists Owen Dalby and Nancy Wilson, and British vocal ensemble Tenebrae. The ensemble was selected to appear at the ACDA Eastern Division Conference this spring in Baltimore, MD, and will present Monteverdi’s Vespers of 1610 later this year. Last season included a workshop with Tenebrae, a collaboration with La Spirita (viola da gamba consort), and an invitation to perform for the American Handel Festival at Princeton University. Recent seasons have included performances of major works by Handel, Byrd and Bach, including his St. Matthew Passion at Avery Fisher Hall, with the Westminster Choir and the New York Philharmonic, conducted by Kurt Masur." Among judges' comments: "What is remarkable about this recording is the finely-measured and delicate balance of voices, and the mastery of stylistic performance practice." 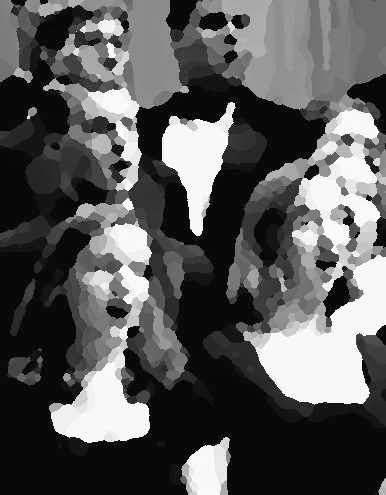 The Georgia State University University Singers is the School of Music’s premier vocal ensemble conducted by Dr. Deanna Joseph. Selected by competitive audition, the choir is comprised of music majors and non-majors, undergraduate and graduate students and represents the diverse population of Georgia State University. In May of 2013, the University Singers competed in La Florilège Vocal de Tours where they placed second overall in the mixed choir category and Dr. Joseph was honored with the Prix du chef de chour. Additional recent honors include performing Walton's Belshazzar's Feast under the baton of Simon Halsey, an invited performance at the Georgia Music Educator's Association annual conference, a performance with Andrea Bocelli during his 2013 tour, and Carmina Burana with the Atlanta Ballet. 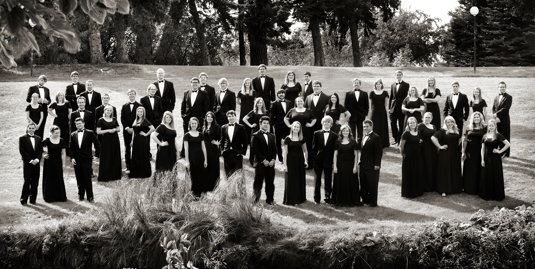 The University Singers have toured throughout much of the United States, including Carnegie Hall on two occasions, and seven international tours with stops in France, Belgium, Italy, Yugoslavia, Finland, Russian, Estonia, Canada and Great Britain. Among judges' comments: "a marvelous recording of twentieth and twenty-first century choral pieces."